With 3+ million Muslims targeted by the Communist Chinese regime, thousands dying everyday, Muslims must act. Imams, Scholars and Leaders call on the Chinese government to free Uyghurs and other minorities from concentration camps. 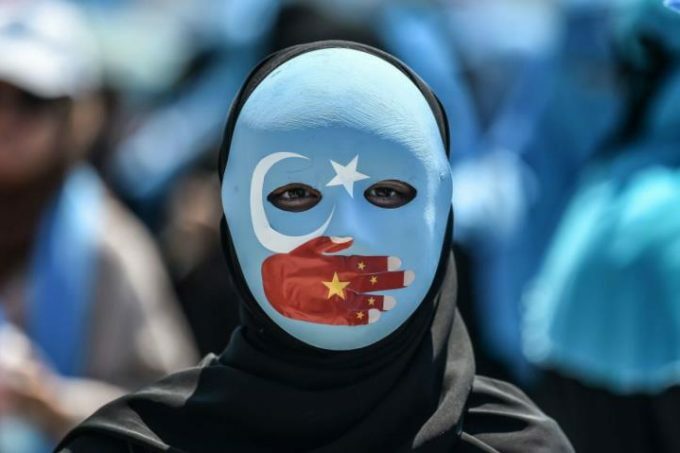 China has illegally occupied East Turkestan along with region of Inner Mongolia and Tibet and has secured them by establishing close ties with some of neighboring countries , Pakistan and Tajikistan being one of them. The Uyghurs are not religious bigot all they want is independence from Chinese Oppression. They look towards Tajikistan , Afghanistan and People of Pakistan to stand for them but none of these nation are match to China since they are too weak. They ignore the Islamophobia raging in their most favoured state called China . That’s real unacceptable politik from the point of view of Islamic brotherhood . How does the Ummah react to the anti-Muslim bigotry across Europe and North America . The Ummah suppose that the Pakistani Prime Minister’s will make the next passionate speech on Sino-Pak friendship over the sound of the invisible elephant making a loud noise in the room. Now a country, such as the Soviet Union, that was a military powerhouse, that had its own industry, culture and strength; while having its share of economic problems due to crippling sanctions, could – with some sensible restructuring and reform (that didn’t compromise its ideology) – become self-sufficient. How did such an entity succumb so catastrophically to the illusions presented by those who were instrumental in the soft war against her? Thus they are fighting for their independence which is looked at by the Chinese as terrorism. Pakistan, iran, Saudi Arabia and other Islamic countries with Pakistan. Previous Previous post: Do You Know Why Uzma Was Killed?